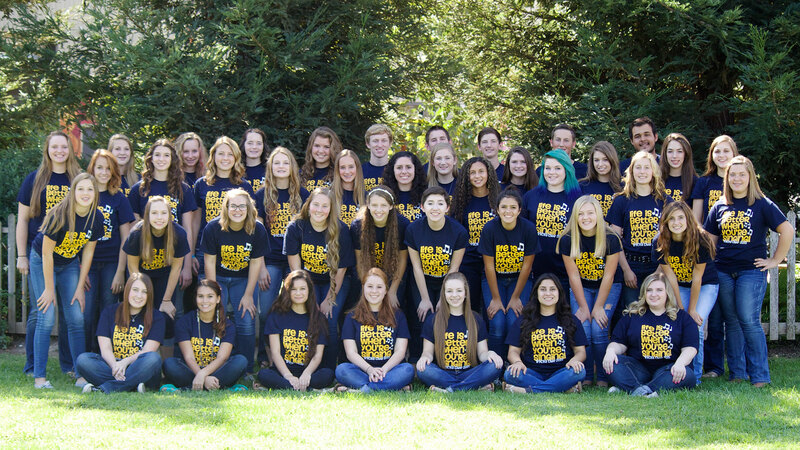 At Big Valley Christian School, making a joyful noise unto the Lord is part of every day. Our students begin singing in preschool as both a method of instruction, a tool for Bible memorization, and as an act of worship. This practice continues through every grade level as we encourage our students to appreciate music and make it a part of their daily lives. Music instruction begins in the elementary grades as part of our core curriculum. Weekly classroom instruction from our Music Director includes both singing and music appreciation. Third-grade students are introduced to instrumental music through instruction on the recorder. Fourth and fifth-grade students participate in choir and may also elect to participate in band. Junior high school students are encouraged to participate in the student Worship Band that leads chapel each week. High school students may participate in choir and perform two concerts each year. They also compete in the ACSI Musicale competition each year and consistently score very high marks. High school students may also participate in the student Worship Band that leads chapels each week. The annual Spring Concerts at each grade level are a celebration and showcase of all that the students have accomplished in their studies of music. Students also have the opportunity to express their musical gifts through the annual talent shows. Big Valley Christian School’s students are a very talented group and count it a privilege to use their musical gifts to give glory to God.